Our set of color flashcards can be printed for free by anyone trying to learn or teach this language. Flashcards provide a particularly useful teaching resource for teaching basic words and vocabulary to younger children including babies, preschool, toddlers and any young beginner. Flashcards are easy for kids to understand and make learning new words simple. To print this large color Brown In Spanish flashcard, please right click on the picture and select print. This is a free teaching resource which is available to teachers, tutors and students. This Brown In Spanish color flashcard is big, bright and bold to help teach young children the Spanish language, in particular basic vocab and useful words. The colors are written in the English language also making them flexible and versatile enough to use for teaching either language. There is a colors pronunciation video which can be found via the link to Color Flashcards above. This audio video is free to watch and it's a very good way to check pronunciation and how to say basic words and colors. 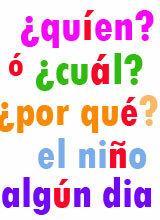 Printable Brown In Spanish Flashcard for Children and ideas for lesson planning and teaching both languages. Picture cards with words in Spanish with English translation to help teach basic words including the colors in these languages. How to say, spell and write Brown In Spanish.